We Sacramento locals tend to get a bit giddy when autumn weather finally decides to make an appearance in the valley. After the typical long and hot summers, we are often tempted to stop the world (or at least our lives for a day) just for an opportunity to get out and enjoy those crisp, cool mornings and the changing scenery in the way of fall foliage. When happening upon a pumpkin farm our tires screech to a halt (because nothing says it&apos;s fall better than the pumpkin farm) and we find ourselves suddenly in the baking mood with pumpkin bread in the oven and hot apple cider simmering on the stove. Ah, life is good in the fall. That is, until your day starts moving again and the stresses of life can be put off no longer. So, what&apos;s a person to do? Well, we have come up with 7 family activities that will keep you in that comfy, cozy mind set all season long. 1. Take in a football game. Whether it&apos;s your son&apos;s high school game, the Sacramento State Hornets, or the UFL&apos;s Sacramento Mountain Lions, snuggling up to your sweetie (or kiddos) at a football game eating nachos, drinking hot chocolate, and cheering on your home team is sure to bring some fall spirit and fun into your life. 2. 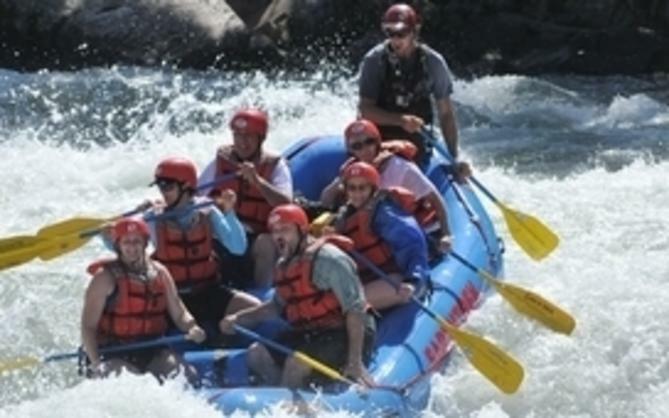 Admire the fall foliage along the Sacramento River. Cruising the river is fun at any time during the year, but gliding on the water aboard the Hornblower in the fall is by far the most scenic. The river is flanked on each side by a variety of trees whose colors are at their peak in late fall. Take in the view while sipping champagne during a weekend brunch or while enjoying a quiet dinner for two. The Hornblower also offers a one hour river cruise, perfect for families with kids in tow. 3. Visit a pumpkin farm. The Sacramento area has an abundance of pumpkin farms. It would seem that each family has their traditional favorite, but Bishop&apos;s Pumpkin Farm seems to be one of the best. Located north on Hwy 70 in Wheatland, Bishop&apos;s entertains the whole family with train and wagon rides, a crazy corn maze, pig races, a petting farm, chicken show, a play fort, coyote mountain (think fun slides,) marble panning, food and crafts, and more. 4. Take a city walking tour. 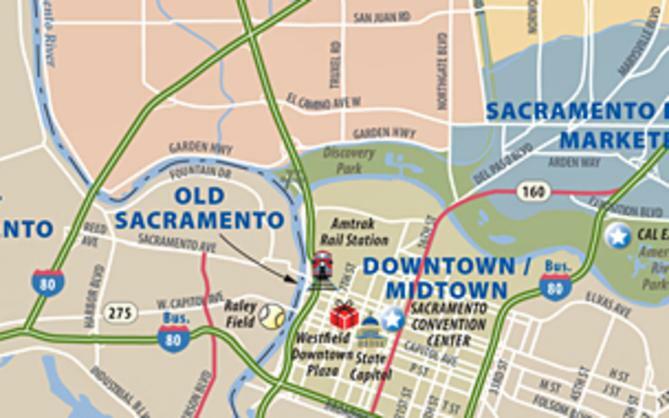 Originating in Old Sacramento, walking history tours are especially wonderful in the fall. The weather is perfect and the trees are turning color. Take your pick from a gold rush legacy tour, an architectural history tour, the Old Sacramento underground tour or risk getting spooked on the Ghost tour, perfect around Halloween. 5. Pick apples at Apple Hill. Most locals will say that it&apos;s not quite autumn until the pilgrimage to Apple Hill has been made. The Apple Hill Growers Association, consisting of over 50 ranches provides a wonderful and unique country experience. In the fall, pumpkins and apples are in abundance and ripe for the picking. One of the best U-pick orchards is Denver Dan&apos;s where visitors can choose from over 50 varieties of apples. Pick as many or as few as you like, eat them fresh or save them for a homemade apple pie. Either way you are sure to cherish the sweet taste and aroma of fresh fall apples. 6. Get festive at the Delta Fall Harvest Festival. Hosted by Scribner Bend Vineyards located a few miles south of the city along the Sacramento River, this free family festival is sure to bring the feel of autumn into your life. On Sunday, October 14th, the festival offers barrel room tours, a grape stomp, pumpkin patch, hay rides, farmer&apos;s market, food and craft vendors and more. A perfect event your whole family will enjoy. 7. Shop at Sacramento&apos;s Harvest Festival. Get in the holiday spirit by stopping by "the original arts and crafts show" at Cal Expo. Happening the weekend before Thanksgiving, this annual event claims to offer the best Sacramento area shopping with hundreds of vendors, plenty of music and entertainment, unique foods to inspire your Thanksgiving table and a kid&apos;s zone. So come out, bring the whole family and get your shopping done early! 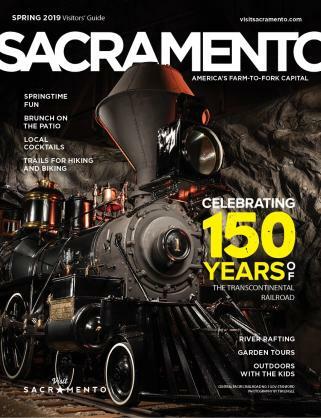 Whether it&apos;s a football game, apple picking, river cruising, or a ghost tour, there are plenty of activities for you and your family to enjoy in Sacramento all season long. So get out there and have some fun!